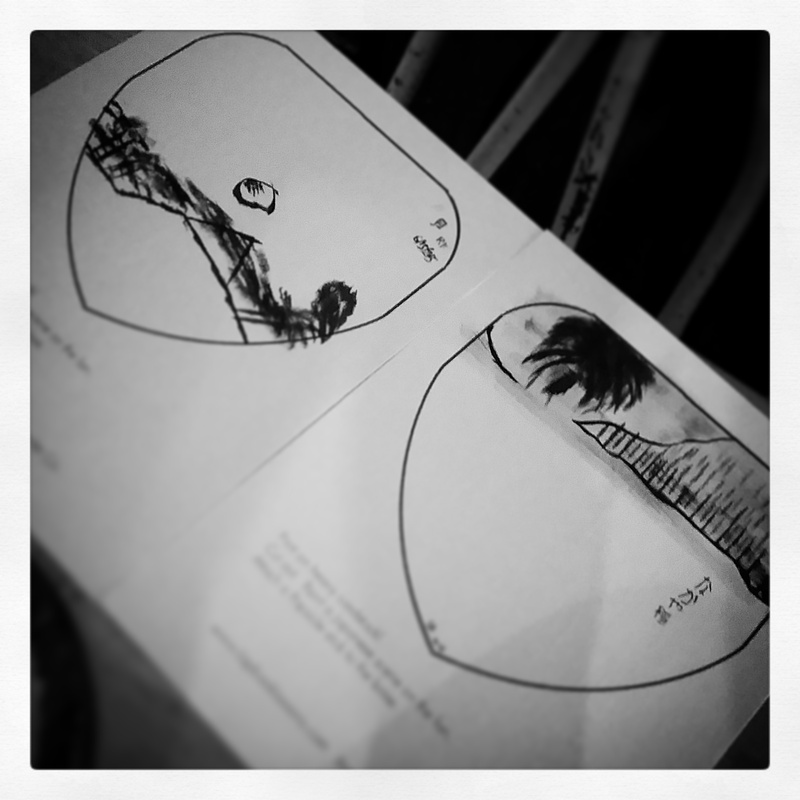 Zen Painting on fan shapes – The one on the left was done by Magiba, and the one on the right, by Starshine. 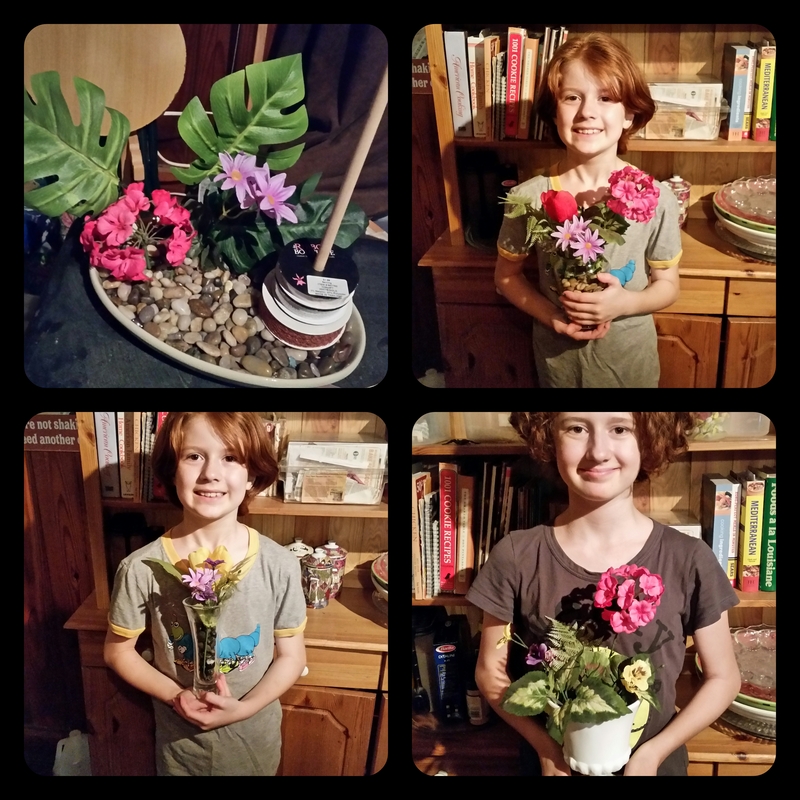 These are our attempts at Ikebana, the Japanese art of flower arranging. It really isn’t that easy! Moku Hanga is the art of woodblock printing. We created ours using an idea shared by Consie Sindet. 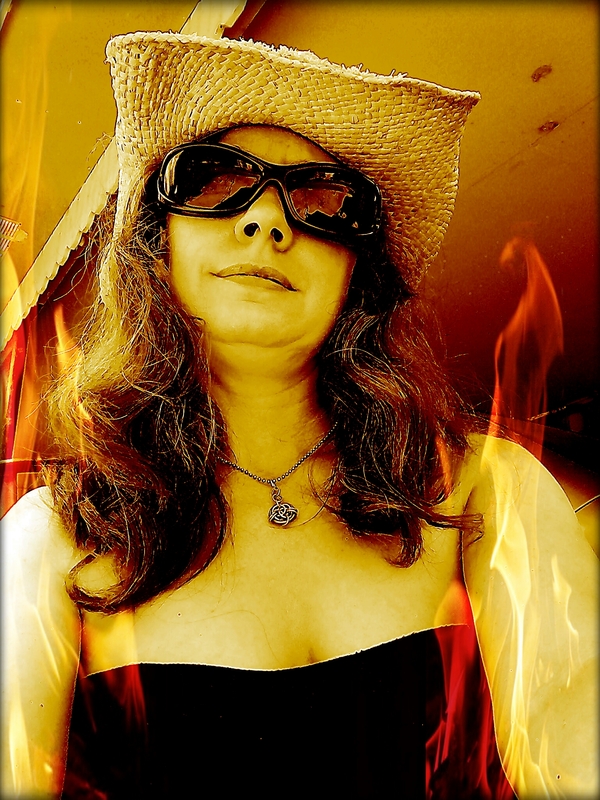 She blogs at http://www.atopserenityhill.com so I hope you’ll stop in at her blog. She’s a wonderful artist! We also studied a bit about hiragana. 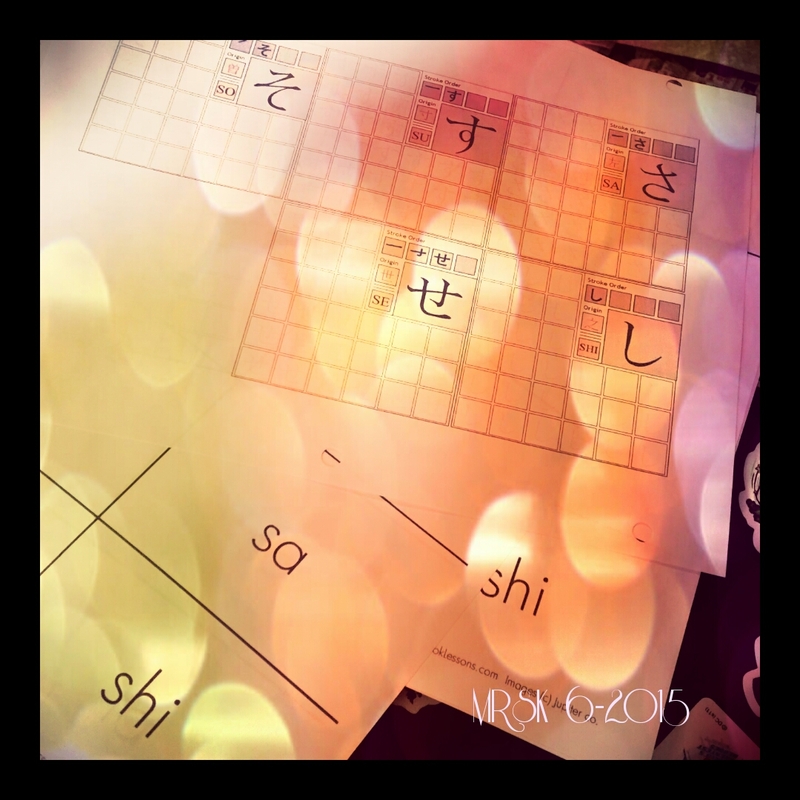 These are the worksheets we used to work on our hiragana skills. The above photos were taken by me and edited in either Pixlr or Instagram. They are not for sale and you do not have my permission to use them in any way. 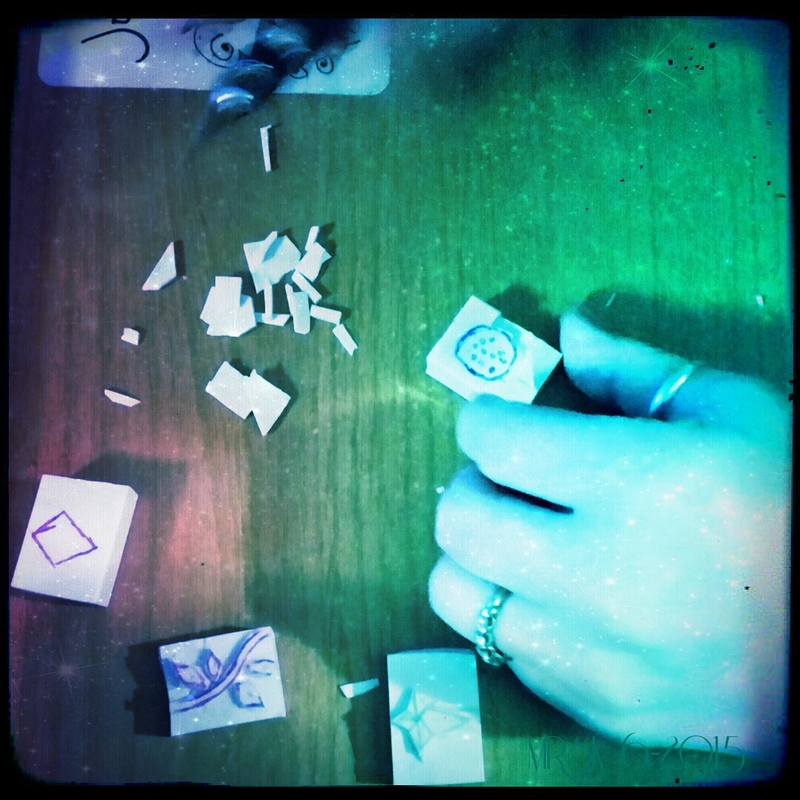 I have been working on little art projects here and there when I can but time is scarce. The storm season is upon us and we’ve been out storm spotting quite a bit. This in itself could produce some interesting paintings, if I didn’t mind the havoc it would reap in my spirit. I’ve got two current projects to share with you. One is a work-in-progress and the other is a collaboration with Magiba. I hope you enjoy them! This is a simple line drawing base that I plan to paint and add a poem or lyric to. If you’d like to download a copy, you can do so by clicking the link to go to my deviantArt page. It’s free but if you use it for any projects of your own, please link back to my deviantArt page, and give me credit in the caption. Thanks! This is the collaboration artwork Magiba and I created. If you’d like to purchase a print or photo gift of this, please click on the picture to visit my deviantArt page. Any earnings we receive with be split down the middle. Thanks for reading! Have a beautiful, wonderful, and whimsical day!